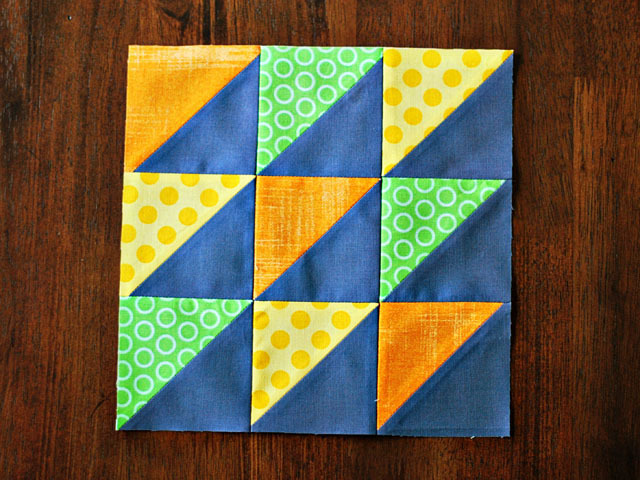 July's blocks for do.Good Stitches were "Citrus Sails", made for Lyanna. 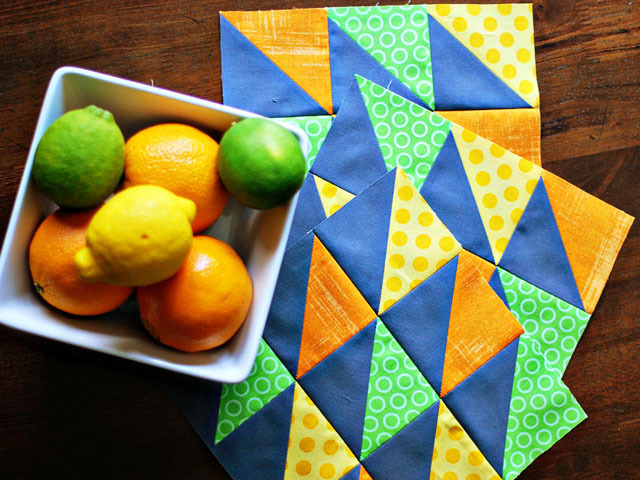 She asked for HSTs in a nine patch in vibrant green, yellow, and orange, with Kona Coal as the solid. As soon as I was finished with these blocks I knew a little photoshoot was in order. They are so bright and fun! 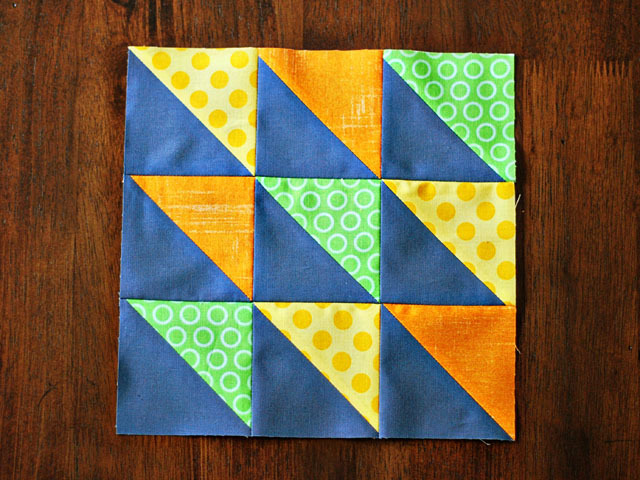 This quilt is going to look great all put together. If you're interested in joining do.Good Stitches, you can fill out the form to join the waiting list here. LOVE IT! The colors are so bright and cheery. Somebody is going to love that quilt! 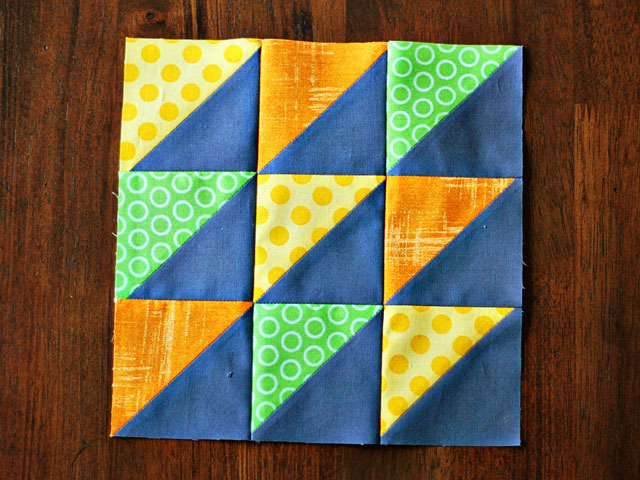 I do love these blocks. The gray looks so nice with the citrusy colors. 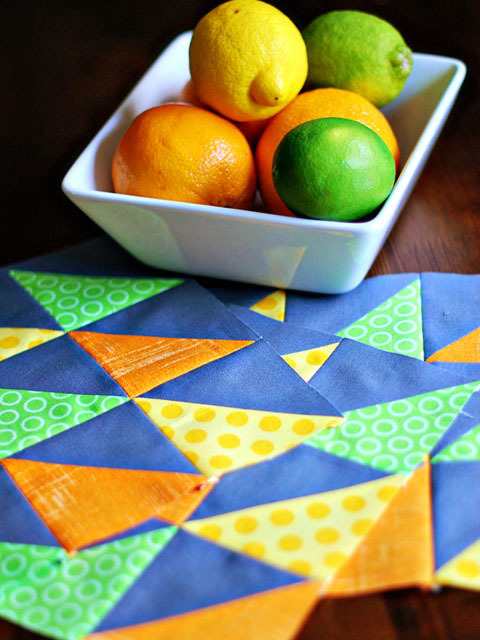 It will be a very happy quilt! those colors are right up my alley! love the HST too! 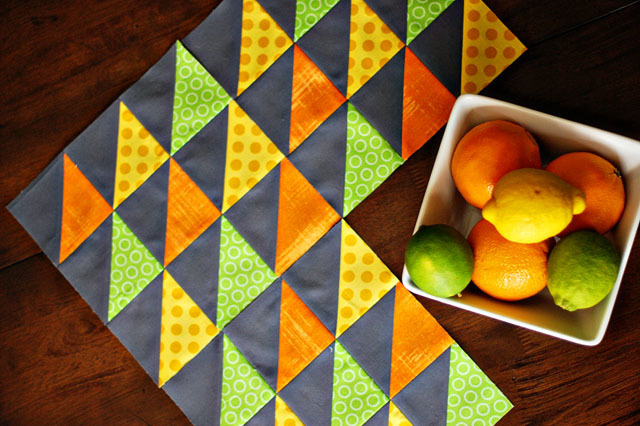 Love those citrus tones! I think that has been the color scheme of my summer!